Training teachers, para-professional instructors and parents a new approach for teaching basic math skills. OG Academic Math Training Courses are designed for teachers, instructional support staff, Orton-Gillingham practitioners and parents. Our courses will benefit your children and students! When I was struggling to teach my students who just did not learn and retain basic math skills, I set out to create a model that would teach them once and for all using a multi-sensory engaging interactive approach. Check out the OG Math ideas here. Engaging - Interactive - Multisensory and Successful. The Online Training Course includes videos demonstrations and materials downloads. 1290 International Mews Kelowna, B.C. Cancelled - UBCO, 2019 due to a scheduling conflict. Marilyn Wardrop is a gifted trainer & mentor who helps educators replace or surpass their current math teaching strategies for struggling math students or those children learning math for the first time. Marilyn’s OG Academic Math training programs have been called the secret weapon of frustrated math instructors. Hundreds…even thousands of educators use OG Math every single day. 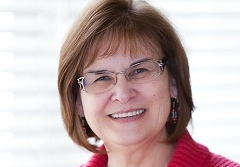 Marilyn is passionate about helping Orton-Gillingham teachers and other educators achieve their goals in the areas of literacy and mathematics. She is an Orton-Gillingham (OG) practitioner, trainer and advocate for students who struggle to learn math skills and the OG practitioners and teachers who teach them. Marilyn has been involved with teaching literacy to children with dyslexia and learning disabilities over 25 years. Inspired to help her students who just did not get math, she has designed and taught OG Multisensory Math Training Courses which combine a unique full-participation approach to help students be successful and independent while working on their math skills and curriculum. Success is steadily earned through practice and experiences. Orton Gillingham Math? What's that about again?